Chartered in 1912, FNBC’s century-long legacy has been forged through diligence, passion and execution. The result is an organization built by community bankers whose values are rooted in dependability, resourcefulness, honesty and integrity. 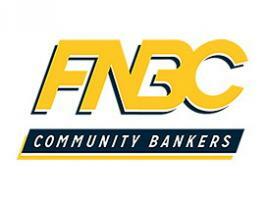 After more than 100 years in business, FNBC is passionate about creating value for its customers and its communities. FNBC demonstrates that a bank can be much greater than its balance sheet; it can be a powerful catalyst for community and individuals to pursue and achieve their highest aspirations. Michael Burris' forward-thinking mentality and focus on strong management, earned him the accolade of Small Bank CFO of the Year Finalist in the Arkansas Business of the Year Awards. Burris' successes include guiding FNBC Bank out of the recession and into their largest asset size yet - just north of $400 million. American Banker has released their 2016 list of best banks to work for. CDBA Members Guaranty Bank and Trust, FNBC Bank, Community Bank and Bankplus all made the list.